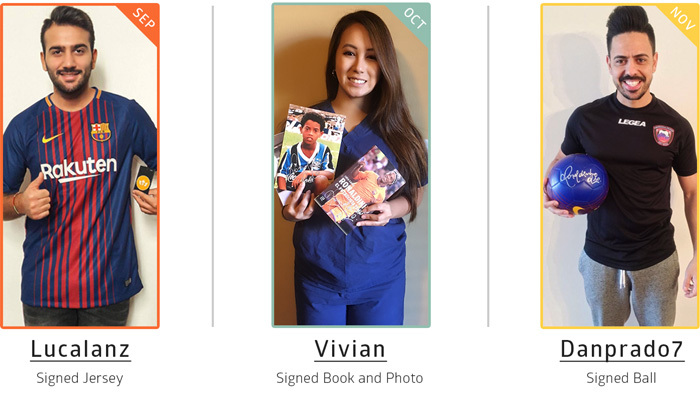 And the grand prize is still pending: Meeting Ronaldinho in Rio. Enter now! Choose the amount of your donation here. Do like they did. 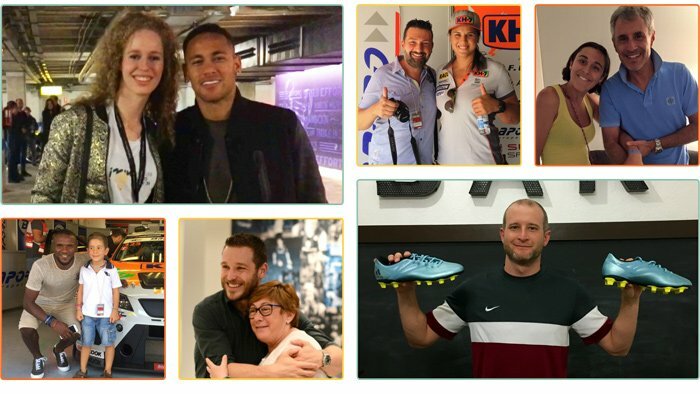 Dusty won the signed boots of Leo Messi for just $5. How much you want to donate? Choose your amount here. Enter and you will: get tickets to win the sweepstake, get a perk and help others. All at once. Good luck! With this donation, you get 50 chances to win this amazing 5-day experience: Meeting R10 in Rio, with hotel and flights included for you and a companion. Plus this perk. With this donation, you get 150 chances to win this amazing 5-day experience: Meeting R10 in Rio, with hotel and flights included for you and a companion. Plus this perk. With this donation, you get 300 chances to win this amazing 5-day experience: Meeting R10 in Rio, with hotel and flights included for you and a companion. Plus this perk. With this donation, you get 500 chances to win this amazing 5-day experience: Meeting R10 in Rio, with hotel and flights included for you and a companion. Plus this perk. With this donation, you get 1,500 chances to win this amazing 5-day experience: Meeting R10 in Rio, with hotel and flights included for you and a companion. Plus this perk. With this donation, you get 3,000 chances to win this amazing 5-day experience: Meeting R10 in Rio, with hotel and flights included for you and a companion. Plus these perks. With this donation, you get 5,000 chances to win this amazing 5-day experience: Meeting R10 in Rio, with hotel and flights included for you and a companion. Plus this perk. With this donation, you get 6,000 chances to win this amazing 5-day experience: Meeting R10 in Rio, with hotel and flights included for you and a companion. Plus this perk. With this donation, you get 10,000 chances to win this amazing 5-day experience: Meeting R10 in Rio, with hotel and flights included for you and a companion. Plus this perk. With this donation, you get 33,000 chances to win this amazing 5-day experience: Meeting R10 in Rio, with hotel and flights included for you and a companion. Plus this perk. With this donation, you get 110,000 chances to win this amazing 5-day experience: Meeting R10 in Rio, with hotel and flights included for you and a companion. Plus this perk. With this donation, you get 220,000 chances to win this amazing 5-day experience: Meeting R10 in Rio, with hotel and flights included for you and a companion. Plus this perk. Minimum 18 years old for participation. Once the data for booking airline and accommodation is provided, it cannot be modified. The random drawing will be carried out on December 4 by an independent third party, the winner will be informed the same day by e-mail and also published in our social networks. The perks will be shipped at the end of the campaign, within 4-8 weeks after the closing date and may be sent in different packages. The shipping costs will be charged at the time of shipment and to the same payment method used for the purchase of the perk. The maximum amount per shipment will be 40€. The winner and their companion will have to pass a security check before meeting Ronaldinho. To enter the sweepstake without making a donation, send the information mentioned here by certified mail. The letter has to arrive before the closing date of the campaign. 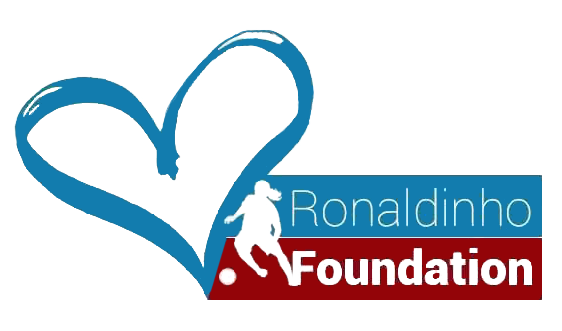 With your entry, you join the cause of the Ronaldinho Foundation, an organization that fights to improve the living conditions of people with serious problems such as malnutrition, childbirth complications, or Hepatitis C, who cannot afford a proper treatment without external support. Problems with registration? Contact us!